Experience Next Generation Skin Improvement with M22™ IPL Photorejuvenation at Plateroti Dermatology! At Plateroti Dermatology, we pride ourselves in offering our patients the latest advancements in aesthetic technology. For fast, gentle, visible improvement of skin imperfections and long-lasting collagen growth, we offer the state-of-the-art M22™ IPL photorejuvenation system. 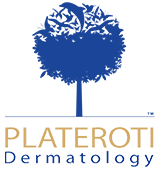 Serving Templeton, California, and surrounding areas, Plateroti Dermatology is led by Dr. Carmelo Plateroti.Contact us today to schedule a consultation and find out how the M22™ IPL photorejuvenation system can restore your healthy, beautiful skin and have you in and out of the office in a flash! What is the M22™ IPL Photorejuvenation System? How Does M22™ IPL Photorejuvenation Work? There are many IPL devices on the aesthetic market, but the Lumenis® M22™ features advanced Optimal Pulse Technology (OPT)™ that requires fewer pulses into the skin and provides a more comfortable treatment experience. Red and brown imperfections in the skin absorb the light energy and are cleared from the skin at the source, and the gentle heat of the Photofractional™ laser creates small microchannels in the skin, stimulating the production of fresh, new collagen for gradual remodeling from the inside out. The M22™ IPL photorejuvenation system offers patients the dual benefit of both immediate and long-lasting results. Patients can expect clearance of visible skin imperfections after their prescribed treatment plan is complete, and subtle improvements in tone and texture will continue as new collagen is produced. Results and treatment plans may vary depending on your unique condition and goals, which can be discussed with Dr. Plateroti and our medical team during your consultation. This innovative system requires no downtime and no complications or side effects aside from slight flushing or reddening of treated areas immediately afterward. In men and women who qualify, this is a safe and effective treatment that can be integrated into your daily schedule with minimal interruption. We will advise you of any necessary preparations prior to your procedure. Contact Plateroti Dermatology today to schedule a consultation and discover the benefits of the M22™ IPL photorejuvenation system for clearance of skin imperfections and subtle skin improvement in a flash.